Taichi Sanshou is the extension of Taichi push-hands exercise. When one has laid a solid foundation of Taichi frames and Taichi push-hands exercise, he is in the position to practice Taichi sanshou. 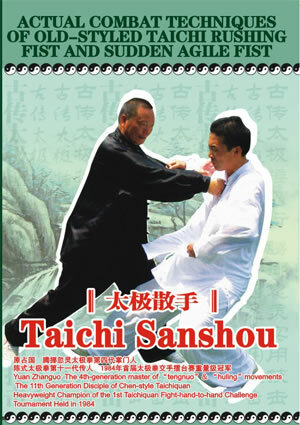 This film explains and shows how to cushion the enemy's attack and counterattack effectively through Taichi sanshou.